Review: Jillian is on her way to the office when a strange man jumps out of the elevator and injects her with a mysterious liquid. He is quickly killed by a scary looking man named Declan, who proceeds to kidnap Jillian. When Jillian becomes extremely ill, Declan informs her she's been injected with a test serum that is deadly to vampires, and his adoptive father can help. I like the basic plot of this book-ordinary girl is injected with anti-vampire serum, it's poisoning her and she is forced into a world she didn't know existed. Unfortunately, I never warmed up to Jillian as a character and the romance with Declan did not seem realistic. 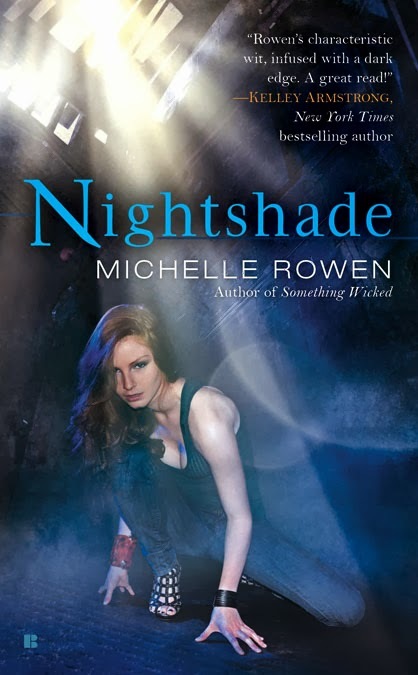 I love Michelle Rowen and always look forward to the humor in her books, but this one was pretty flat.